For the fourth night of Chanukah this evening, Mama and I joined a couple of friends to light candles and celebrate. We sang prayers and a song, and we played a hilarious game of driedel with gelt and mini porcelain figurines. Our colorful, paper crowns from the Chanukah crackers added to the festivities. We enjoyed lemon elderflower parfaits with Mexican hot chocolate. It wasn’t exactly traditional, and that just made it more fun! 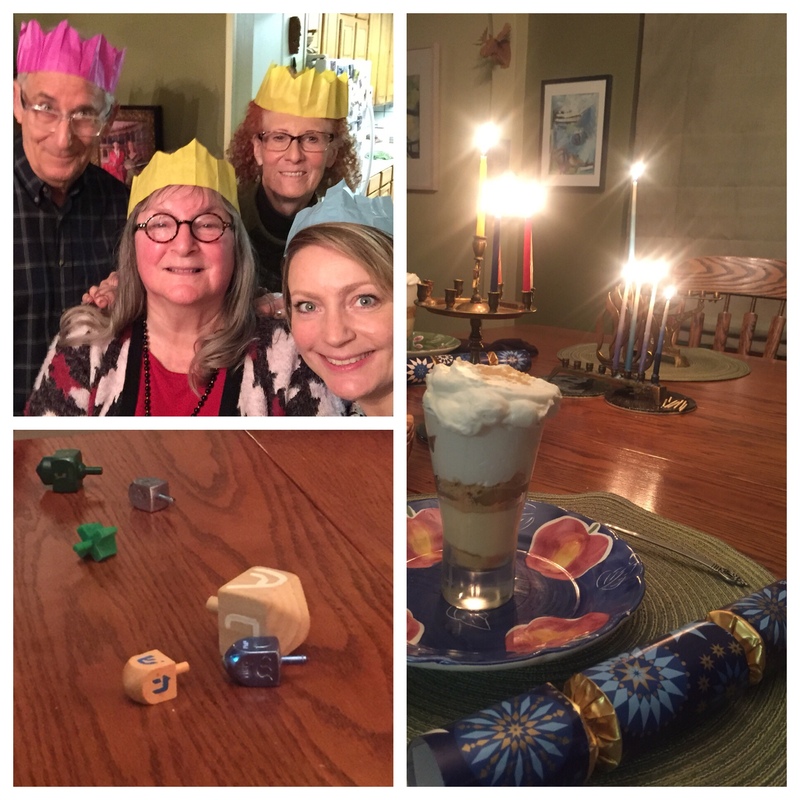 Today’s #OneGoodThing was lighting the 4th night of Chanukah candles with friends! Many thanks to Bonnie and Phil for welcoming us into your home! Day 339 of 365. And Day 1,070 in a row (here’s the first 366 & the following 365)!